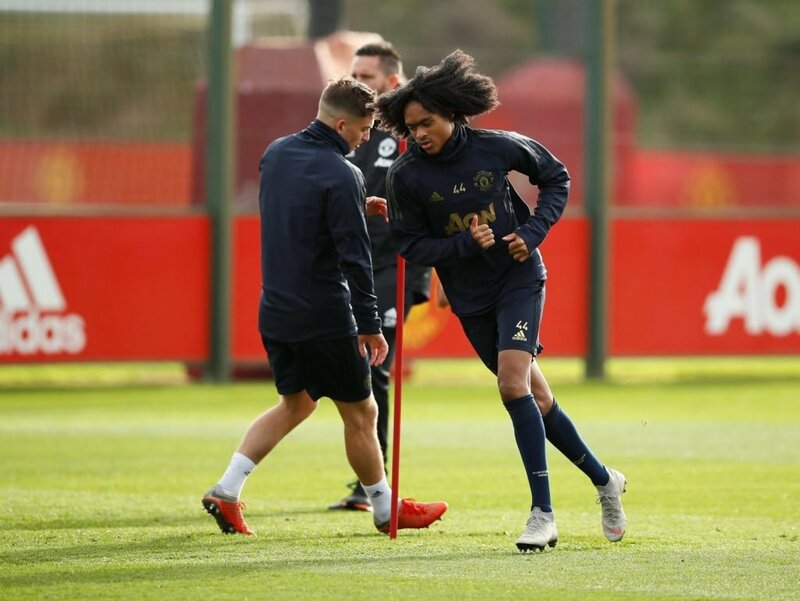 After our last two editions covered two of the Championship’s hottest prospects in Max Aarons and Jack Clarke, this time we switch back to the top-flight as we give you the low-down on Manchester United’s teenage winger, Tahith Chong. Having been born in the Dutch overseas territory of Curacao in 1999, Chong then moved to Holland and joined the youth ranks of Eredivisie outfit Feyenoord aged 10. While playing for Feyenoord in the Premier League Cup at United’s training ground in 2014, the then 14-year-old impressed a number of top-flight clubs, but eventually opted for a move to Manchester in April 2016. Initially playing for the club’s Under-18s, the Dutchman suffered a major setback in January 2017 after a cruciate ligament injury ruled him out for the remainder of the 2016/17 season. Following a 10-month spell on the sidelines, Chong returned to the field in November 2017 and hit the ground running – scoring four goals in just his first seven games back for the Under-18s. Chong in training with the first-team. He was quickly called up to Ricky Sbragia’s Under-23 side at the start of 2018 where he again demonstrated exceptionally high performance standards, with Jose Mourinho watching from the stands on a number of occasions. A fantastic season for the 19-year-old culminated with him winning the Jimmy Murphy Young Player of the Year award; an award previously won by the likes of Marcus Rashford and Ryan Giggs. Chong’s performances at youth level merited his inclusion to Mourinho’s squad for a pre-season tour of the United States, where his standing in the side grew further. A second-half cameo against Club America – where he was deployed as a lone striker – followed by a full 90 minutes against San Jose Earthquakes in his regular position exemplified how highly the Dutchman was regarded by the then United boss. Dubbed as an old-fashioned winger due to his explosive pace and willingness to run at defenders, it was the US tour which put Chong ‘on the map’ in terms of recognition from fans for his performances. Despite starting this season with the Under-23s, Chong was named as a substitute for United in their 1-0 home defeat to Juventus in the Champions League last October. It was not until January when – under the guidance of club legend Ole Gunnar Solskjaer – the 6ft 1in winger could finally don the red shirt in a competitive fixture, as he replaced Juan Mata in the 72nd minute in the FA Cup Third Round win over Reading. 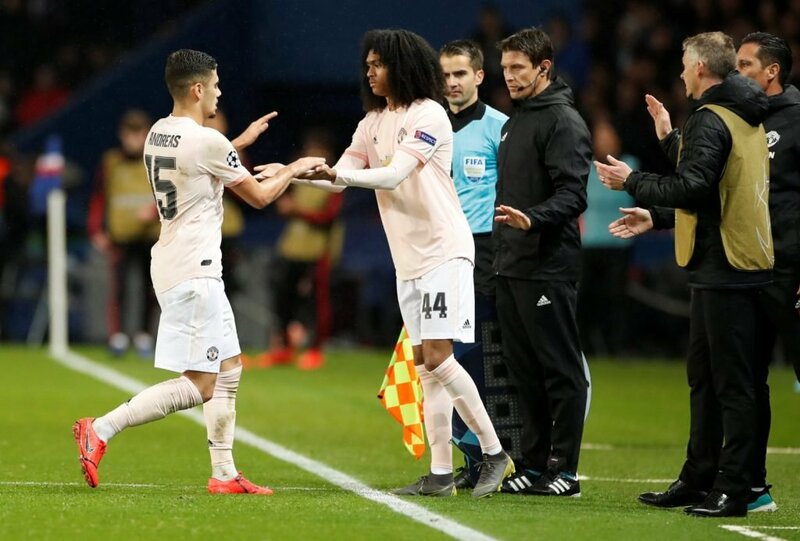 Two months later Chong was thrown upon the world stage as he was handed his Champions League debut as a substitute during the Red Devils’ dramatic Round of 16 win over Paris Saint-Germain in France. Chong being introduced as a substitute against Paris Saint-Germain. Instantly recognisable due to his 90s Ruud Gullit style haircut, Chong replaced Andreas Pereira in the 80th minute and looked exuberant as fellow youth product Marcus Rashford scored the winning goal from the penalty spot in the dying stages. At international level, the exciting creative teenager has represented the Netherlands from every age group from Under-15s up to Under-21s. He represented the 2016 European Under-17 Championship in Azerbaijan where he scored the only goal in a quarter-final win over Sweden as Oranje reached the final-four. 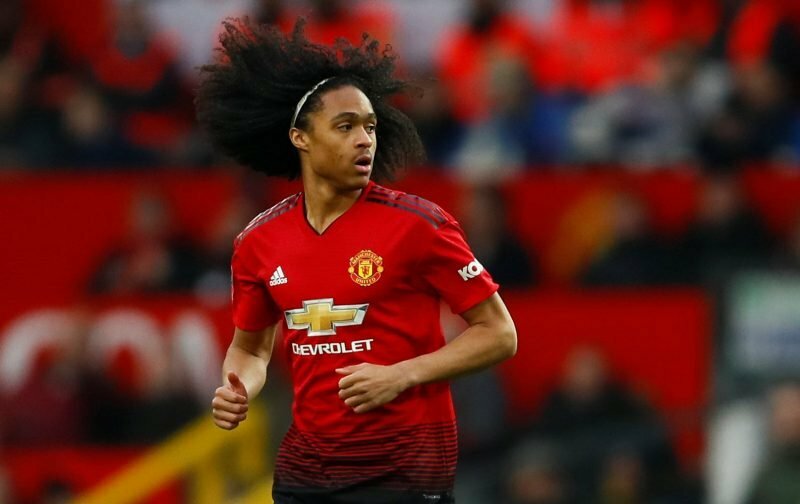 With the talent he possesses, coupled with the refreshing amount of trust placed in young players by interim coach Solskjaer, the future for Chong at Old Trafford and with his national team appears to be bright, but a loan away from the club could be a viable way to source regular first-team football for next season.